Students gathered at East’s annual homecoming dance this Friday in the cafeteria for a night to remember. The dance was from 7-10 p.m., and guests enjoyed its decorations, music, food and atmosphere. Students came in their semi-formal attire ready to party. Dancegoers gave positive feedback from their experience at the dance and the overall atmosphere of the night. Everyone socialized, ate and danced. “My favorite parts about the dance are how many people come out to support the school and the fun mood of Homecoming. I also really like the food,” said Max Gaffin (‘22). There was a wide selection of food choices such as Chick-fil-A nuggets, mini hot dogs, mini tacos, soft pretzels and dip, mac n’ cheese, cookies of all assortment, brownies, along with drinks. Additionally, the photo booth was a fan-favorite, with props and backdrops for pictures. The evening’s theme was the 1970s. Decorations for this theme included ’70s themed posters, lanterns hung from the ceiling, streamers with disco balls, a giant lava lamp poster, hanging peace signs and more. Each table was decorated with different colored tablecloths and centerpieces. The food was placed on a tablecloth with funky patterns and colors. “The community came together for a night to hang with everyone as friends. I also think the decorations are very nice, and they clearly took a lot of time and effort,” said Jake Sipera (‘22). The music was a mix of today’s hits and classic party songs, such as “God’s Plan” by Drake, “One Kiss” by Dua Lipa, “God is a Woman” by Ariana Grande and “Everytime We Touch” by Cascada. As everyone danced the night away to the music, smoke machines were fired off, and colored lights filled the room. The DJ was interactive with the crowd. “SGA has prepared for the dance by making decorations for the cafeteria, selling tickets, staying after school to set up, and promoting the event,” said Carly Fowler (‘21). “[My favorite part was] watching the kids get all dressed up, and seeing them in a different light than in your classroom,” said Mr. Charles Davis, East’s director of activities. All grade levels came to the event to secure the highest attendance, and therefore earn points for their class during spirit week. The reviews from upperclassmen were that this dance was by far the best homecoming they’ve attended over the years. “This years Homecoming was the best I’ve attended because of the atmosphere and fun theme of the ‘70s,” said Hannah Miller (‘20). Check out some photos from the Homecoming Dance! 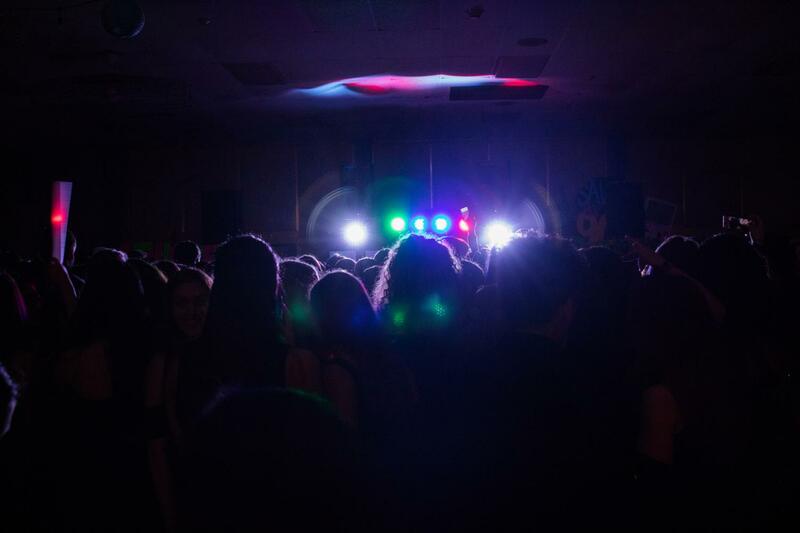 Check out some video from the Homecoming Dance!